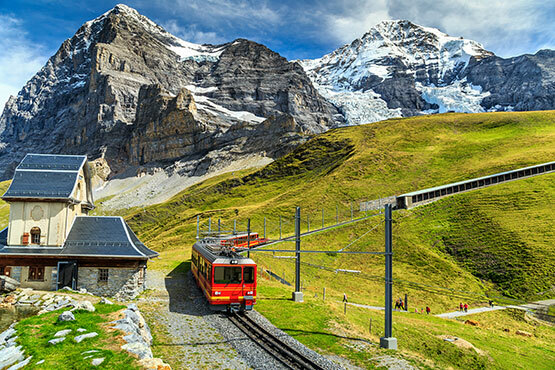 Upon your arrival in Interlaken you will travel onwards by train up to the Jungfraujoch– at 3'454m/11’333 ft making it the highest located railway station in Europe. 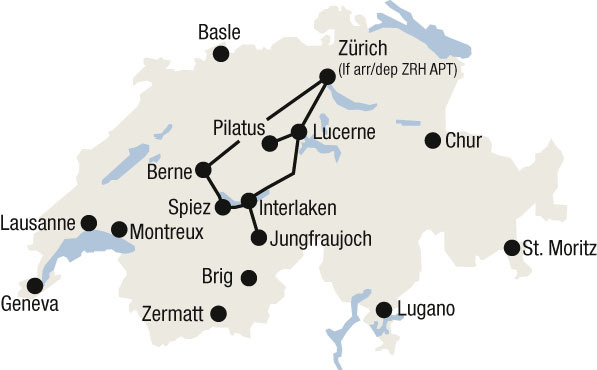 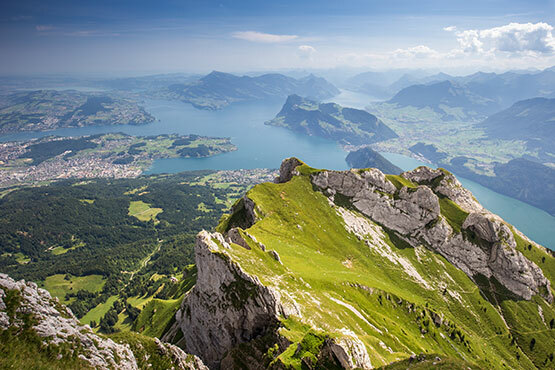 Your next stop is Lucerne where you will be pampered by an unforgettable ride on a swiss steamboat from Lucerne to Alpnachstad. 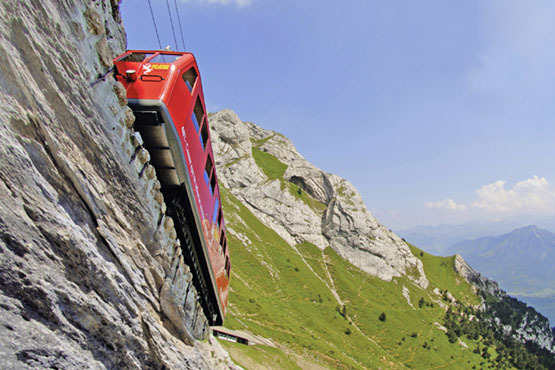 Make your way up to the Pilatus Kulm by gondola or the steepest cogwheel railaway in the world where you will be able to enjoy the breathtaking views of the lake Lucerne.